Gammon, Samuel Rhea (1922). 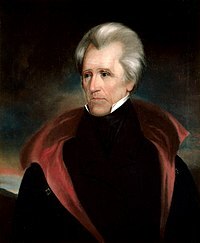 The Presidential Campaign of 1832. Johns Hopkins Press. http://www.archive.org/download/prescampaign00gammrich/prescampaign00gammrich.pdf. Journal Of The National Republican Convention, Which Assembled In The City Of Baltimore, Dec. 12, 1831, For The Nominations Of Candidates To Fill The Offices Of President And Vice President. Washington: National Journal. (1831). Summary Of The Proceedings Of A Convention Of Republican Delegates, From The Several States In The Union, For The Purpose of Nominating A Candidate For The Office Of Vice-President Of The United States; Held At Baltimore, In The State Of Maryland, May, 1832. Albany: Packard and Van Benthuysen. (1832). http://books.google.com/books?vid=LCCN09032457&id=8WC055De2fkC&printsec=titlepage. Note: the account of the convention in Niles' Weekly Register has more information than the printed proceedings.